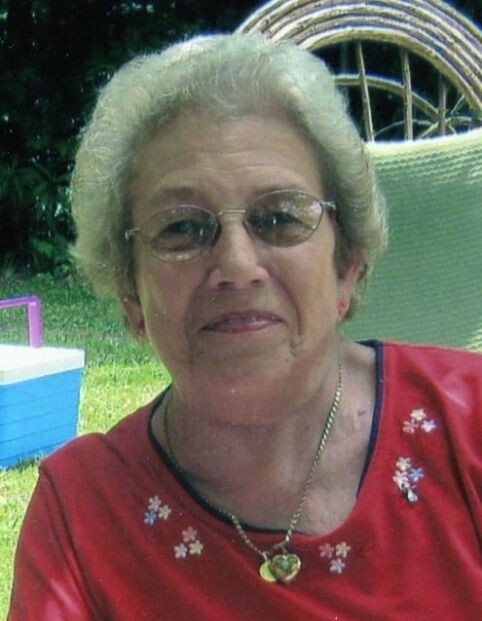 Donna J. Rosenberry, age 87, of Butler passed away on Tuesday, August 7, 2018 at Laurels of DeKalb Nursing Home in Butler. Mrs. Rosenberry was born on December 26, 1930 in Auburn to Clifford and Vera (Guilford) Hart. She married William A. “Bill” Rosenberry on June 6, 1949 in Auburn. Bill preceded her in death on February 23, 2016. Donna started babysitting at just 10 years old. She worked at Messenger’s in Auburn in 1947 and 1948. She and Bill taught first aid classes from 1958 until 1974. From 1972 to 1984 she worked at Dr. Covil’s office in Auburn. She began her nursing career working at Betz Nursing Home in Auburn from 1982 to 1984, Miller’s Home Service from 1985 to 1986 and Meadow Haven Health Care in Butler from 1987 to 1988 and again from 1993 until her retirement in 1995. She was very active in the DeKalb County Republican Party. She served as the DeKalb County Treasure from 1984 until 1992. Over the years she was a member of the Waterloo United Methodist Church, Webb’s Creek United Methodist Church in Tennessee and she attended Mt. Pleasant United Methodist Church in Butler. She also belonged to the DeKalb County Home Demonstration Club for many years. Son and daughter-in-law; Tom and Cathy Rosenberry of Butler. Daughter and son-in-law; Nancy and Don Dohner of Crystal River, Florida. Daughter and son-in-law; Jean and Tom Haupert of Butler. Six grandchildren and their spouses; Julie and Oscar Meyer, Todd and Christy Haupert, Elizabeth and Keith Black, Randy and Renee Haupert, Brian and Mandy Capp and Angie and Tracy Haupert. Nine great grandchildren and two great great grandchildren. She was preceded in death by her parents, husband; Bill Rosenberry and one sister; Helen Rosenberry. Visitation will held on Thursday, August 9, 2018 from 4:00 to 7:00 PM at the Feller and Clark Funeral Home, 1860 South Center Street in Auburn. Visitation will also be held one hour prior to the funeral service Friday at the funeral home from 10:00 to 11:00AM. Funeral services will be held on Friday, August 10, 2018 at 11:00 AM at the Feller and Clark Funeral Home in Auburn. Officiating the funeral service will be Pastor Christine Fodrea of the Mt. Pleasant United Methodist Church in Butler. Burial will take place in Roselawn Cemetery in Auburn. Memorials may be directed to the Mt. Pleasant United Methodist Church, 4099 Co Rd 59, Butler, Indiana 46721 or the Waterloo United Methodist Church, 300 West Maple Street, Waterloo, Indiana 46793. Arrangements have been entrusted to Feller and Clark Funeral Home of Auburn.